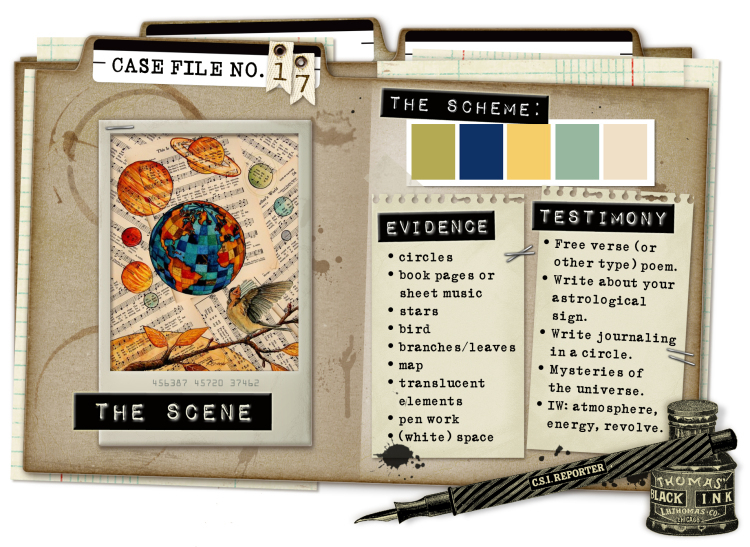 pop over to the blog and see how you can solve the case ..it is lots of fun ! Hi, (this is the 'other' lizzy!!!haha!) this is amazing.. your style is fabulous, I love the way you include things and they look right where they should be.. a beautiful color combo too.. love this one too! This is sooooooo gorgeous Heather! I loveeeeee that photo of you, the colors and love love love the clock and distressing! This is a cool page of your self lovely design! gorgeous layout of you, love your words !!! Heather I love the photo of you and its so important for our family to have some scrap pages of 'the scrapper'. I agree with Lizzy Hill that I may have to look at CSI challenges because it not only gives you the colours to work with but lots of ideas to journal as well. Heather you pages are all so gorgeous and inspirational. You are a braver lady than I to include a self portrait! I thought these criteria sounded hard but as always you have made them look easy and spectacular. Another beautiful layout, ah, I just love visiting here! that clea clock just makes this layout pop Heather STUNNING!!!!!!!!! Amazing design, amazing elements, AMAZING scrapper! Love it! LOVE what you've done with this challenge Heather...the blue and yellow just 'pops' off the page...fab! It must be your birthday soon then !! I remember last year noticing that you were a taurus too. I like all the words that describe us !! Although they are very kind and I am sure my husband could add a few to the list ! !